If I told you I had watched a film based on trues stories about boat people entering Australia on the northwest coast, you’d probably yawn. 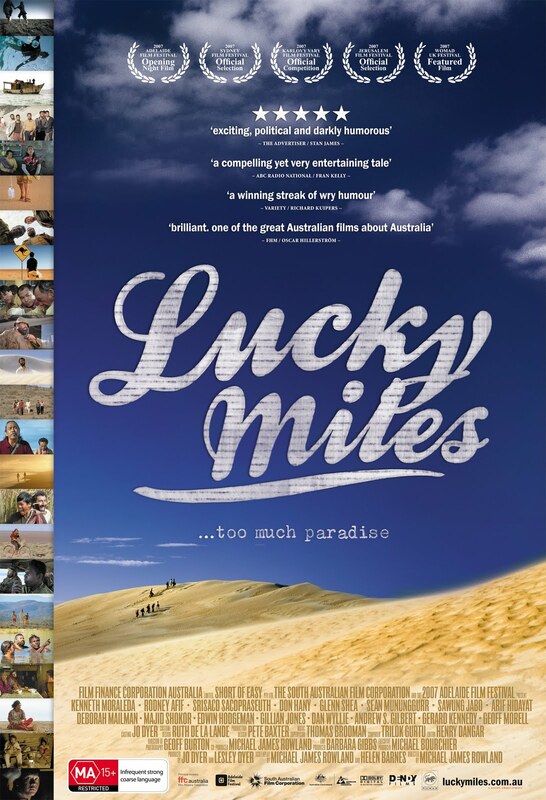 I expected something more like a docudrama when I sat down to watch Lucky Miles, but was pleasantly surprised to encounter a comic drama set in the outback. There is no sense of that superficial ocker-ness to this film, just a great story, impeccably filmed, and filled with dry, cackle-till-my-throat-hurts humour. Kenneth Moraleda gives an excellent performance as something of a straightman who balances the sardonic humour of the rest of the characters. He provides that balance between comedy and drama that Australian film makers have perfected. This was a lucky find: I never heard about Lucky Miles when it was in cinema release, but wow! How do the greatest films always seem to miss out on media coverage? It’s a crying shame; find the DVD!